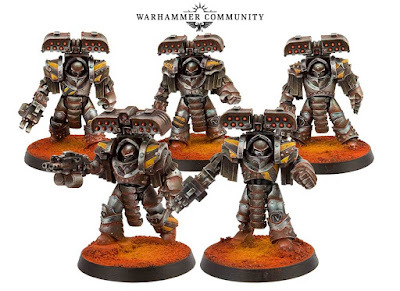 Forgeworld recently previewed the official Iron Warriors Siege Tyrant models. I kinda prefer mine, which are just plastic Cataphractii Terminators with Anvil Industries missile racks glued to the top. I do kinda like the helmets on the official ones, but that's a pretty tiny detail. Thoughts? 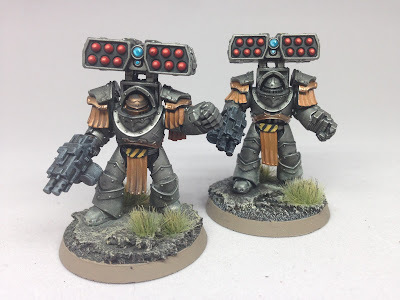 I like that their should pads are a little bigger, but it's not that big of a difference.